A Prince George’s County police officer was killed in what police are calling an “unprovoked attack” outside police headquarters in the Palmer Park area of Landover, Maryland. 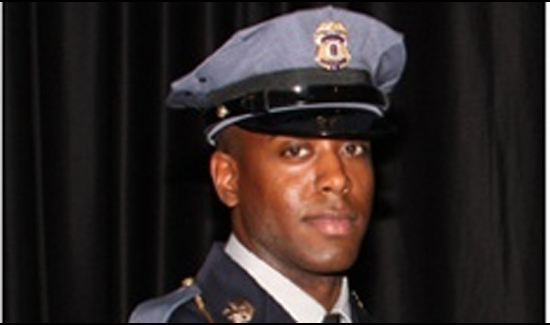 Police have identified the fallen officer as 28-year-old Jacai Colson, a four-year veteran of the Prince George’s County Police Department. Colson was a narcotics officer and would have celebrated his 29th birthday this week. “It is my sad duty to come to the community this evening and to tell you that one of your defenders, Jacai Colson…lost his life in defense of this county today,” Prince George’s County Police Chief Hank Stawinski said in a news conference Sunday night. Stawinski said Colson was killed in an “unprovoked attack” on the District III police station at about 4:30 p.m. when one man started firing a gun at officers. News4’s Mark Segraves reports the suspect was arrested at a Popeyes fast food restaurant nearby. A second suspect was arrested a short time later. One suspect was wounded and taken to the hospital. Police could not confirm if the suspect was shot by an officer and said the he is stable and is expected to survive. Police do not believe there are any more suspects.